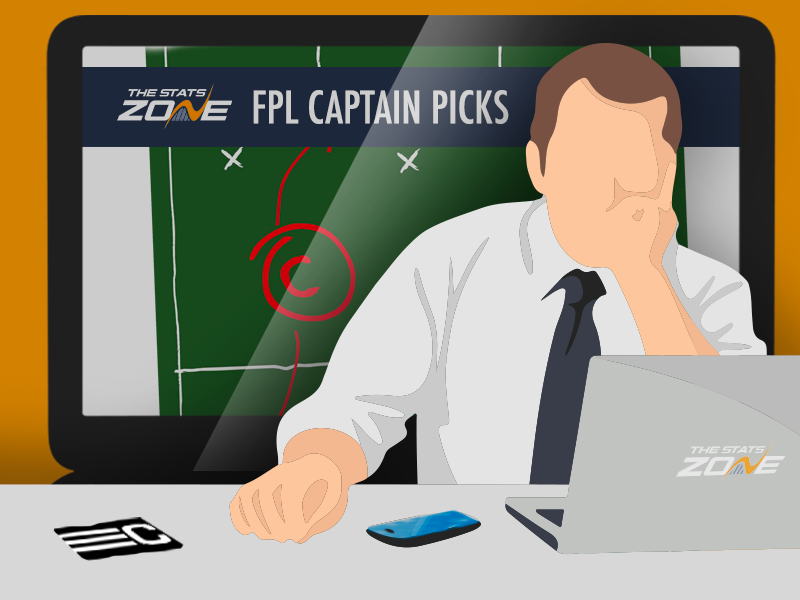 Two players from both Liverpool and Leicester enter our captaincy musings for BGW33, along with a Bournemouth striker. Eden Hazard could boost his credentials tonight ahead of the visit of West Ham on Monday but the Chelsea midfielder may struggle to earn armbands considering the form and fixtures of several assets this weekend. With title-chasing Liverpool visiting St Mary’s on Friday night, Mane is the first of our two Reds picks for the armband in BGW33. Since Gameweek 23, the Senegal star has only blanked on three occasions – scoring nine times and providing one assist over that period. Now owned by over 31% of bosses, Mane sits top of the FPL form standings. The midfielder managed two shots from outside the area against Spurs in GW32, with both narrowly missing the target, while supplying one key pass. So close to making it 2! A curling shot from Mane is inches wide. With three wins in their last four league outings, Southampton are in good form. Ralph Hasenhuttl’s side conceded four goals in that period, three of those away to Manchester United in a GW29 defeat. Over that game and wins against Fulham (H), Spurs (H) and Brighton (a), the Saints conceded an average of 15 goal attempts and seven shots inside the box per match. Hasenhuttl’s men also shipped two goals against both Cardiff (H) and Arsenal (a) in Gameweeks 26 and 27. Up against his old club, Mane has the potential to once more wreak havoc in fantasy terms. Gameweek 22 was the last time the midfielder blanked in successive fixtures, with three double-figure scores to his name since then. What’s needed to clinch the PL crown? Sadio Mane believes #LFC must win all of their remaining six games if they are going to beat City to the big prize. The Egyptian grabbed a fortuitous, much-debated assist last weekend as Hugo Lloris pushed Salah’s header onto Toby Alderweireld to gift Liverpool a match-winning own goal. The midfielder had four other attempts on goal at Anfield – three off-target efforts and one blocked shot. While not 100% certain, there is a strong case for a Salah assist. An assist from a shot forcing an own goal sets a precedent for assists from own goals. Salah has not scored since GW26 at home to Bournemouth, while he has just one other assist to his name since then. The £13.2m man recorded twice as many touches in the box as Mane against Spurs and had more shots but continued to look low on confidence in goalscoring terms. His blocked effort came after he spurned an opportunity to slip Mane in on goal, with Salah failing to record a key pass during the encounter. Liverpool find themselves in with Salah, who delays and has his shot blocked. Could/should he have rolled Mane in? The 35.7%-owned Salah is still a worthy armband contender in BGW33. In 11 outings against top-six teams this season, relegation-battling Southampton have conceded 28 times. The Saints’ only clean sheet against a ‘bigger’ side came away to Chelsea in GW21. The Leicester striker has scored five goals in five games since Claude Puel was sacked ahead of Gameweek 28, while also providing one assist. Vardy headed in the Foxes’ second at home to Bournemouth last Saturday from a Youri Tielemans (£6.1m) cross. Youri Tielemans is our Man of the Match for #LEIBOU. The forward missed his other big chance at the King Power, firing wide inside the box with just Asmir Begovic (£4.3m) to beat. The goalkeeper saved another Vardy effort from inside the area, while the Englishman also saw a shot blocked outside the box. Huddersfield’s relegation puts a different complexion on Leicester’s visit to the John Smith’s stadium this weekend. It is difficult to assess how going down will impact the Terriers in their remaining league fixtures but Jan Siewert’s men have leaked shots and goals recently. Since GW29, Huddersfield have shipped nine goals as part of allowing their opponents 57 shots. Almost 72% (41) of those were taken inside the penalty area. Vardy is unquestionably a player in form, while Leicester appear motivated under Rodgers. The striker only has two double-figure returns all season – an 11-point score at home to Huddersfield back in GW6 and a 16-point haul at home to Fulham in GW30. With 39 points in Leicester’s last five gameweeks, Vardy’s consistency and fixture mark him out as one of BGW33’s top captaincy options. Bournemouth’s England forward missed a golden opportunity to score in GW32, firing his only attempt straight at Kasper Schmeichel (£5.1m) from inside the six-yard box. Ryan Fraser (£6.1m) had supplied the cross for Wilson’s gilt-edged chance. Ryan Fraser has assisted Callum Wilson 5 times this season, no other assister-scorer pair in the league have combined for more goals. The striker has now missed 16 big chances this season, second only to Pierre-Emerick Aubameyang (19). Since returning from injury three gameweeks ago, Wilson has one goal and one assist – both coming as part of an 11-point outing away to Huddersfield in GW30. He also spurned a big chance in that clash and another at home to Newcastle in GW31, when the forward failed to post attacking returns. Burnley kept a first clean sheet since GW23 at home to a weakened Wolves XI last Saturday. Between GW24 and BGW31, the Clarets conceded 16 goals. In the last four gameweeks, Sean Dyche’s side have allowed their opponents 50 shots (29 inside the box). The majority of those attempts came in the 4-2 defeat away to Liverpool in GW30. With 11 goals and nine assists this season, Wilson is returning attacking points once every 99.8 minutes. In this truncated gameweek, the 15.9%-owned forward represents a risky but potentially profitable armband option. With such a favourable fixture for Leicester, a second Foxes asset had to be considered for the BGW33 captaincy. Owned by 6.6% of managers, Maddison has one goal and two assists in the past six gameweeks. The midfielder's set-piece specialism promotes him over team-mate Tielemans, who as mentioned has two more assists than Maddison in the same period. The Englishman scored a free-kick away to Burnley in GW29, while he has created more than double the amount of chances set up by Tielemans since Gameweek 27. For GW32 I tipped Milivojevic. For GW33 I’m tipping Maddison. Looks hungry, energised under Rodgers, always looking forward and on Set Pieces. The midfielder has completed 90 minutes twice under Rodgers and been substituted in the other two league outings – after 80 minutes against Fulham and in the 63rd minute at Burnley while on a yellow card. For those planning to take a risk with the armband, Maddison’s creativity and set-piece dominance for Leicester make him a tempting differential option for this blank gameweek.